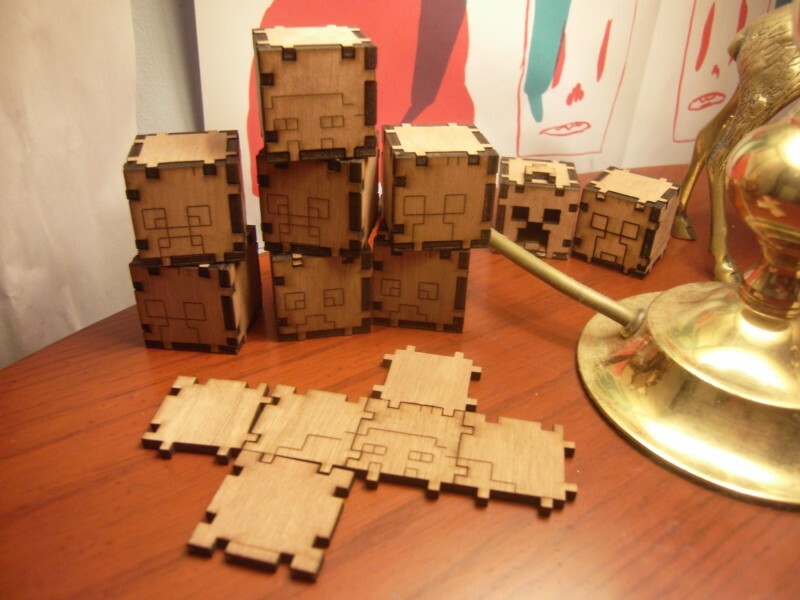 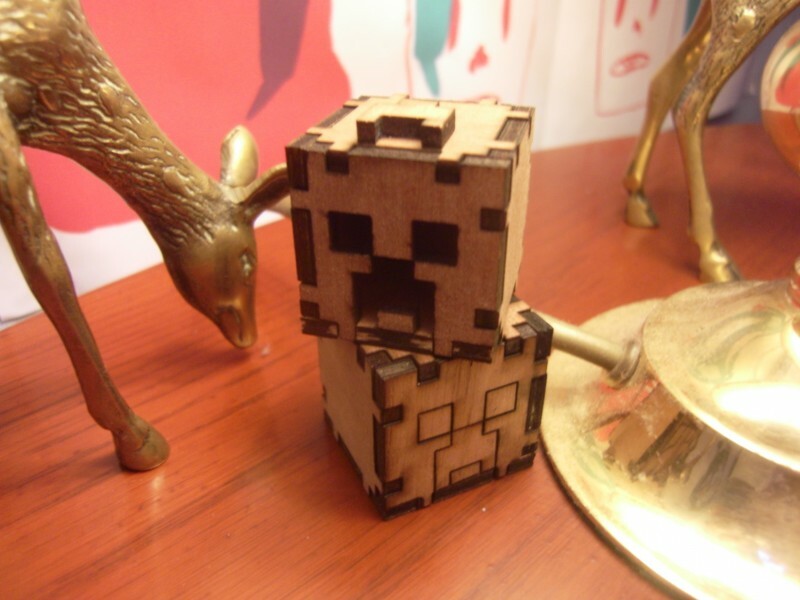 Like before, I created some laser-cut heads based off the video game Minecraft. 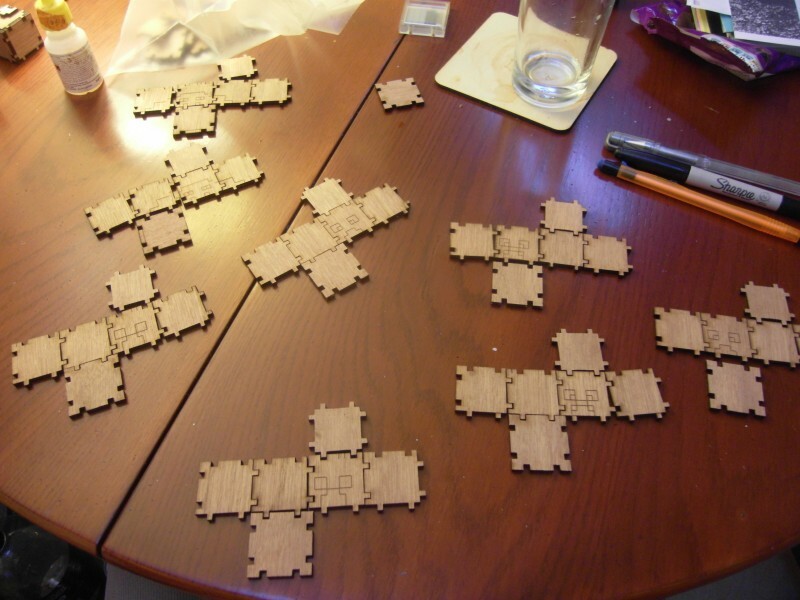 The laser engraving is slightly off because the laser was re-started to foreshorten the number of heads being cut. 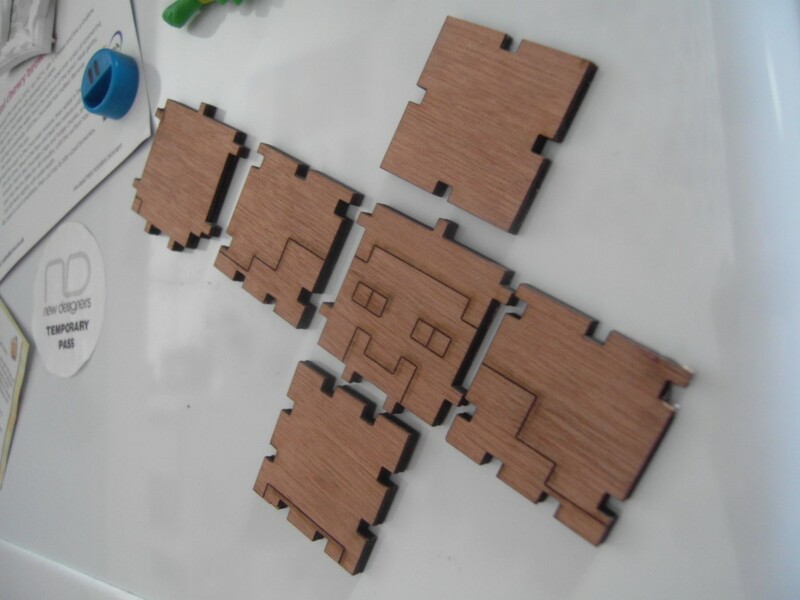 But I am experimenting at the moment, so they are mock-ups to improve upon. 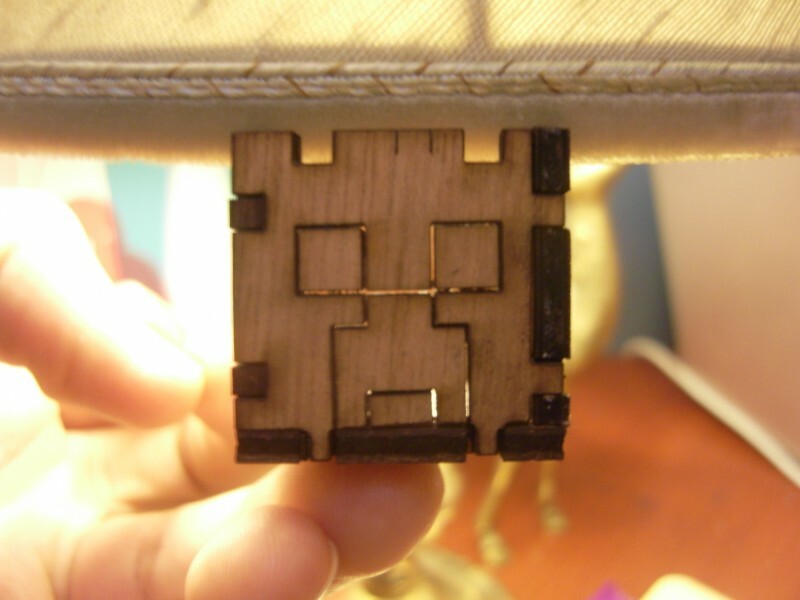 These are smaller heads than the fridge magnet version and each head is a perfect cube.